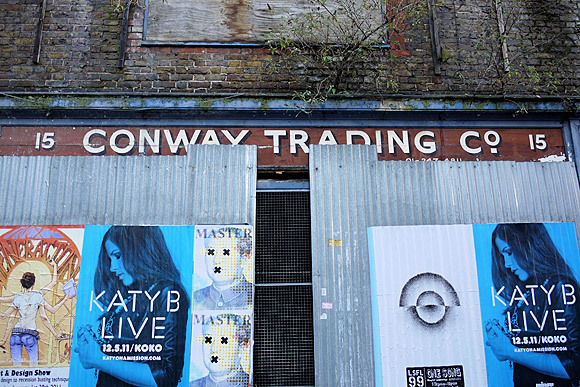 At number 15 is the boarded up shop front of Conway Trading Company, with an old hand-painted sign above. 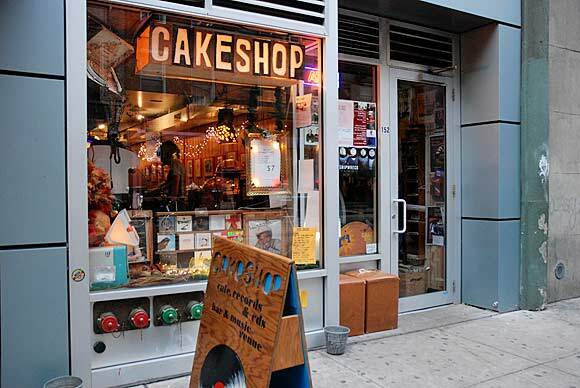 The shop has been closed for several years. 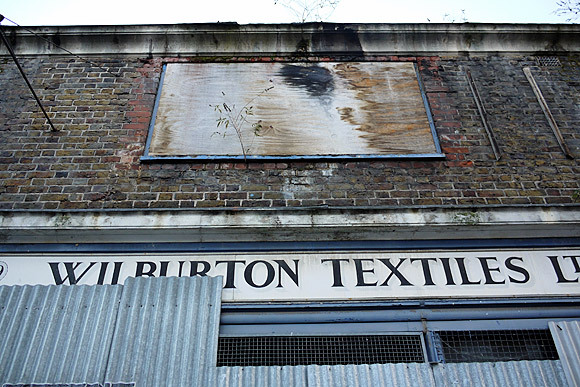 Wilburton Textiles used to operate from Number 19. The area was famous for its textile trade. 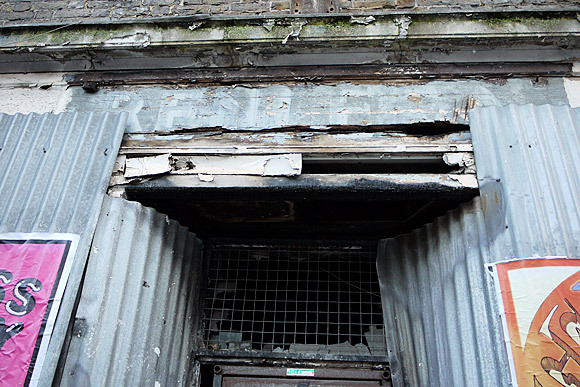 Derelict and long abandoned shop at number 17, Toynbee Street, with the old doorway in a poor state of repair. 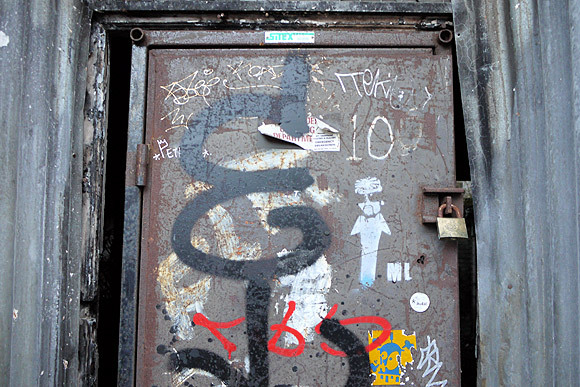 It’s shown as still being open in Google Street View, but the graffiti-covered shutters were down when we went past, and it looked as run down as the other shops. 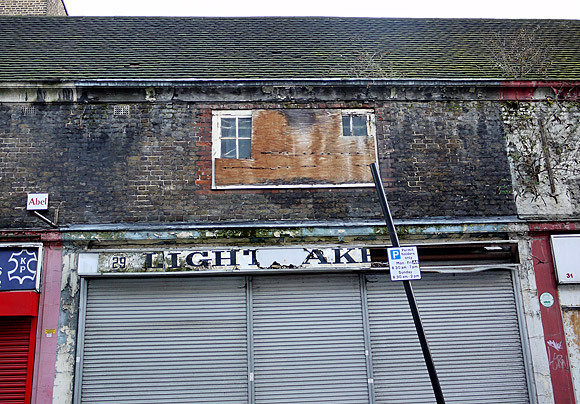 The remains of the slowly disintegrating ‘Lightmake’ sign at number 29. Most of the upstairs room windows were boarded up along the row. 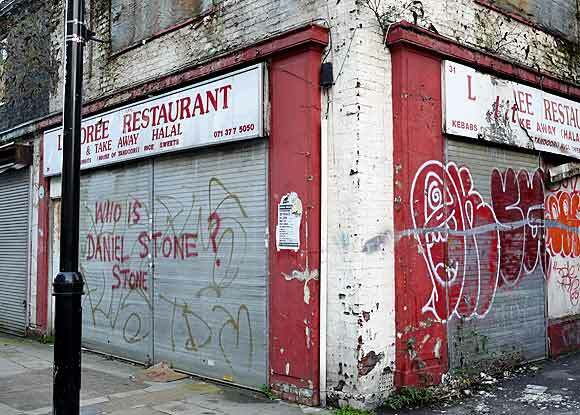 The peeling frontage of the Lahoree Restaurant is in such a dreadful state, I sincerely hope the takeaway isn’t still serving food. 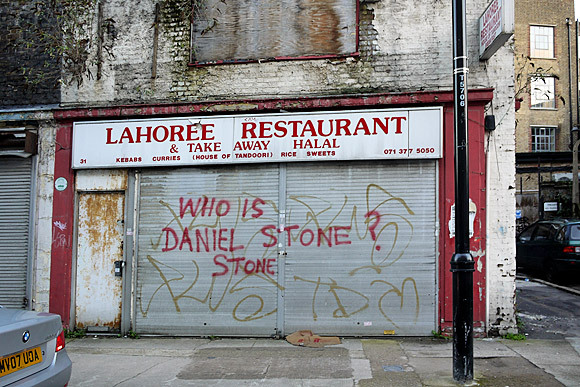 I’ve no idea who Daniel Stone is, and aren’t really that bothered to find out, thanks. The restaurant exterior is in a shocking state. General view of the row of shops looking north. Considering the generally dismal condition of these buildings, I can only assume that they’ve been earmarked for demolition (with the inevitable luxury ‘lifestyle’ flats to follow), but does anyone know for sure? Thans to a poster on the [bulletin boards]I have learnt that the road used to be called Shepherd Street and is marked as such on the Booth Poverty Map of 1898-99, which classifies the households along it as ‘Mixed, some comfortable, others poor’. 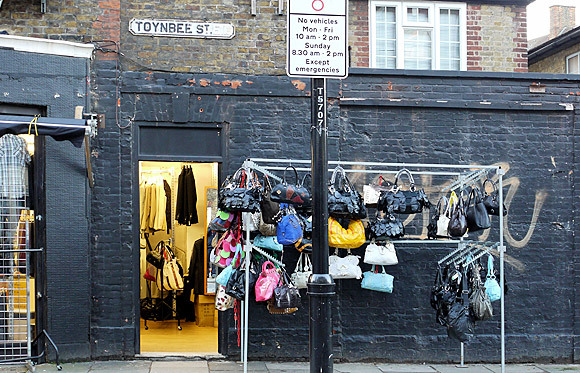 There’s still some trading taking place on Toynbee Street – here’s a shop on the opposite side of the street. 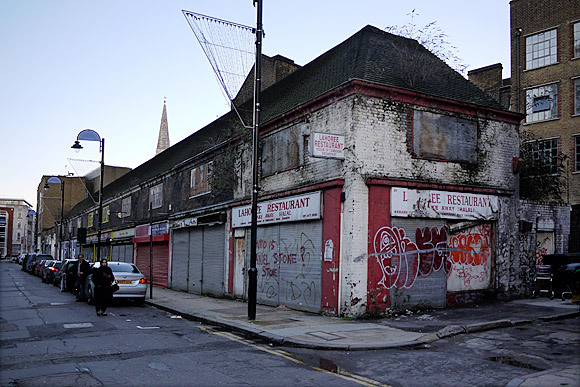 Almost the entire row of shops is due to be demolished and shops and flats are due to go up in their place. 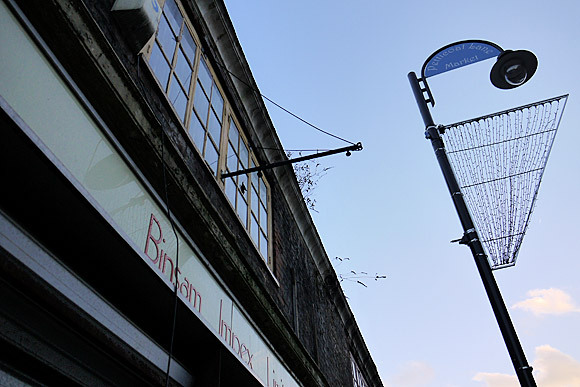 It is interesting to see that at least one of the derelict shops won’t be part of the new development. 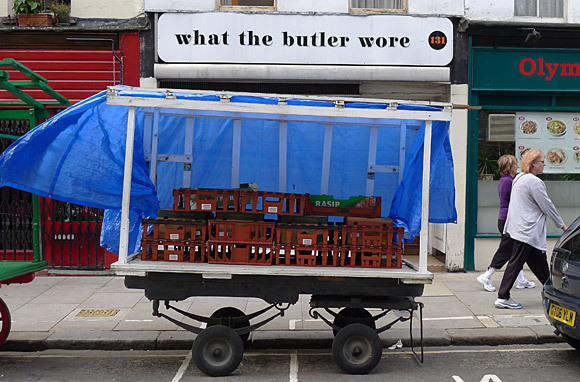 I wonder who owns them? I think I can add something to this story of the shops, especially the last comment. 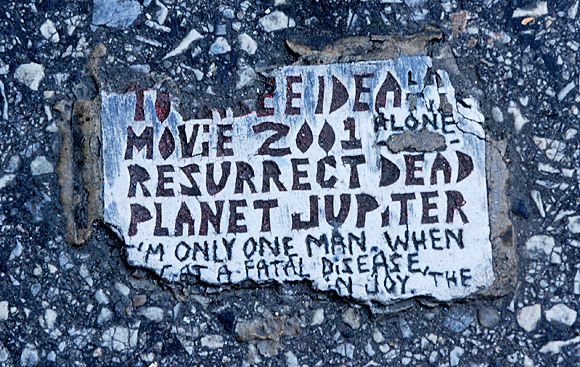 My grandfather ran a business in the 1950’s and 60’s at 7 Toynbee Street and I have started a blog about the history of the street, with the view of uncovering the mystery of why the shops stood still for so long http://doccler.com/user/FindingFrank. Any info anyone has please get in touch findingfrank@outlook.com. Great pictures! 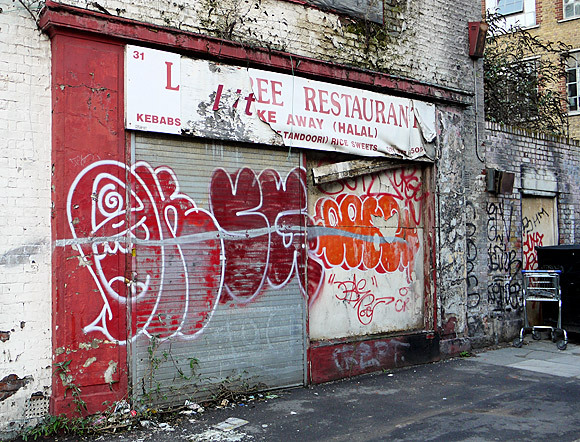 This row of abandoned shops, starting with the Lahoree Restaurant, has now been razed to the ground. 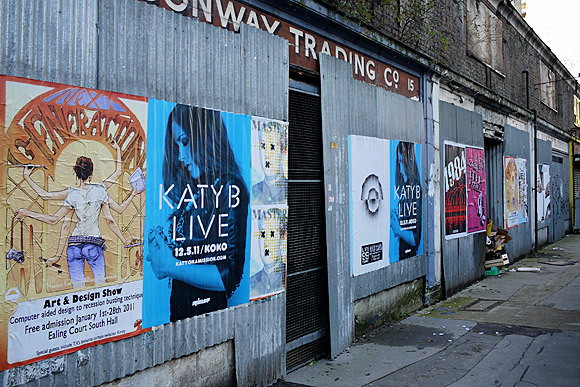 Shutter street art pt 1: Toynbee street area London E1 | "Notice what you notice..."